How to fix your wrong 1.0 pricing? Fitbit, the San Francisco based maker of wearable fitness devices, recently announced a new device Fitbit Force. This new product launch comes less than six months since the release of their last device, Fitbit Flex. When you look at the two devices side by side they do look almost identical with some feature additions. The Force, as you can see, adds a display that gives more descriptive metrics than just four LEDs progress bar in Flex. Internally it also adds features like stairs counting. It is still a product evolution. Yet, instead of choosing to call their new version as Flex 2.0 they chose to introduce a new brand, Force. To give an analogy it is like Apple deciding to call iPhone 5s as iPhone Force or some such name. The answer to why they chose to introduce a new brand for a product evolution lies in how they chose to price Force. Fitbit Flex, when launched in May, was priced at $100. Force is priced at $130, a price realization of additional $30. Surely you do not believe their marginal cost to add the tiny display or the altimeter is $30 do you? After Fitbit launched Flex at $99, it is highly likely they realized that a device someone sports on their wrist is lot more about image than about pure fitness. That is, in a basket of reasons why customers buy a product the hedonistic reasons outnumber and outweigh the utilitarian reasons. And hedonistic reasons carry higher willingness to pay over utilitarian ones (just look at the luxury market). Another aspect is the profile of customer segment. Those who buy a fitness band to proudly display on their wrist are less cost conscious, have higher willingess to pay and have higher disposable income (wherewithal to pay). So with $100 pricing, Fitbit was leaving too much money on the table by not capturing more consumer surplus. They needed to fix this initial pricing mistake. And introducing 2.0 version was not going to do it because of previous reference price and its inability to properly serve the hedonistic aspect. Besides they would have to drop the price of Flex below $100 or discontinue it. So they took a trusted play out of the pricing playbook – Shift the product category, which you can do by deliberate product positioning or by branding. With new brand, Force, they are telling their customers that this is a new category. More importantly their customers just want a reason to give more of their consumer surplus and this new brand gives them that reason. Previously I wrote about this category shift in moving from free to fee. The same rules apply in fixing your past low price mistake and getting price realization. It is a new device. It is a new brand. It is a new category. It breaks the comparison and helps them set a new higher price. It gives their customer a reason they are looking for to pay the new price. 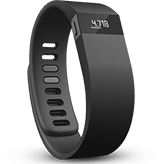 Fitbit Force also took another additional step that results in better price realization. Flex ships with two bands for different wrist sizes. That was additional marginal cost with no profit driver. Force switched to one model one size, saving cost of extra band. Don’t add a cost component that does not serve a value driver. Overall good moves by Fitbit. Not great, as I still believe there is more to be gained with even better price realization because wearable fitness devices are extreme form of hedonistic consumptions, they are conspicuous consumptions. Can you think of another marketer who recently fixed their pricing using branding and category shift? Amazon’s KIndle Fire HDX. Think about why they branded the new HDX thusly and its $229 price tag. How do you fix your past pricing sins?